Reinventing customer-interaction platforms and service-spaces, J&K Bank on Monday threw open new state-of-the-art premises of its 47-year-old Business Unit Beerwah in Budgam district. 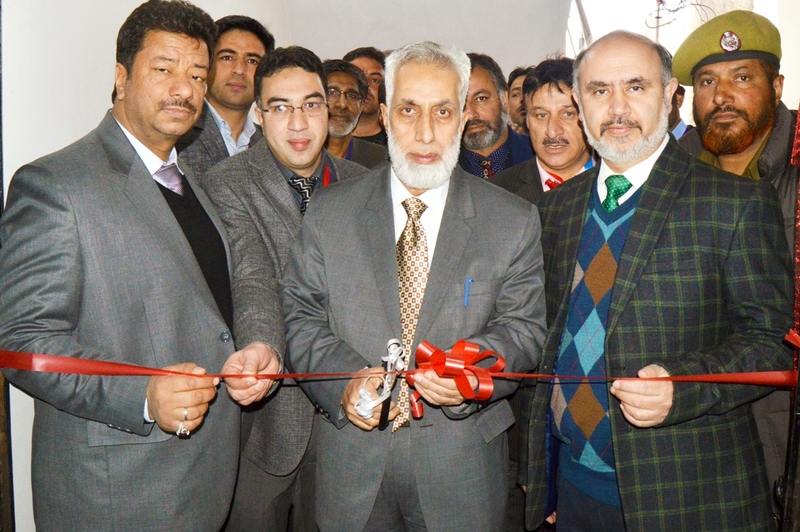 The spokesman said that Bank’s Executive President Abdul Rashid Sheigan inaugurated the new premises and an Automated Teller Machine (ATM) in presence of Zonal Head Kashmir (Central-II) Syed Rais Maqbool, Cluster Head Budgam Shabir Ahmad, Business Unit Head Beerwah Shamim Ahmad amid a gathering of valuable customers, representatives of various trade bodies of sub-district Beerwah, businessmen, senior citizens, officers of the bank and local residents. Praising the people of Beerwah for their unflinching support and unshakeable faith in J&K Bank, the Executive President asserted that the Bank will continue its mission of socio-economic transformation of J&K state and beyond. “In the past nine months, Rs. 21822 Crore credit has been disbursed in J&K State, out of which 68 per cent share belongs to J&K Bank. This demonstrates the bank’s commitment for overall socio-economic prosperity of the state.” This, he attributed to the “high level of trust and faith” that people of J&K put in the state’s premier financial institution. Notably, the bank has a total number of 1038 branches out of which 877 branches are located in the state of Jammu & Kashmir with a significant number of branches serving far-flung areas of the state. Meanwhile, the Chairman and CEO Parvez Ahmed visited the bereaved family to offer their condolenceson behalf of all the members of J&K Bank Family on the sudden demise of Jameel Ahmad Baba, an Executive at J&K Bank.